Kroger’s Mid-South division based in Louisville, Kentucky has passed a new labor agreement with United Food & Commercial Workers Union Local 227. The agreement, as the company says, will provide associates with a company funded pension at retirement, wage increases, and affordable, high quality health care and. This is an attractive deal on the part of the associates. Kroger’s Mid-South Division President, John Hackett, thanked all store associates for their patience throughout the negotiation process and the excellent service that they continued to provide to the store’s customers and the company every day. 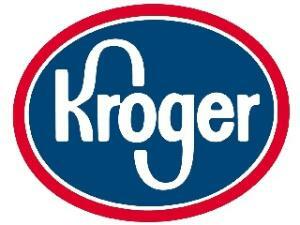 Kroger’s mid-south division covers Kentucky, Southern Indiana, Tennessee and Southern Illinois with 162 stores. However, the agreement will only cover the 81 stores in Kentucky and 6 stores in Southern Indiana that has United Food & Commercial Workers Union (UFCW) Local 227 members. The number of associates at Kroger’s mid-south division represented by the UFCW Local 227 agreement will be more than 12,000 workers. The UFCW Local 227 member associates at Kroger ratified the contract by a margin of 60% to 40% in a vote on the 30th of August. The bargaining of the agreement was geared at ensuring that members’ health care and retirement are secured, especially in these economic times. The Kroger Company operates 2,425 supermarkets and multi department stores under a number of banners apart from its own Kroger’s in the east the other names are, City Market, Dillons, Gerbes, Jay C, King Soopers, Owen’s, Pay Less and Scott’s while in the west Fred Meyer, Fry’s, QFC, Food 4 Less, Ralphs, Smith’s and Foods Co. These stores are spread out over 31 states. The Kroger Company is based in Cincinnati.